I have a new dress! It’s from a brand called Quiz, which I’m not too familiar with, but I popped into their High Wycombe store while sale shopping, and liked a lot of their stuff. 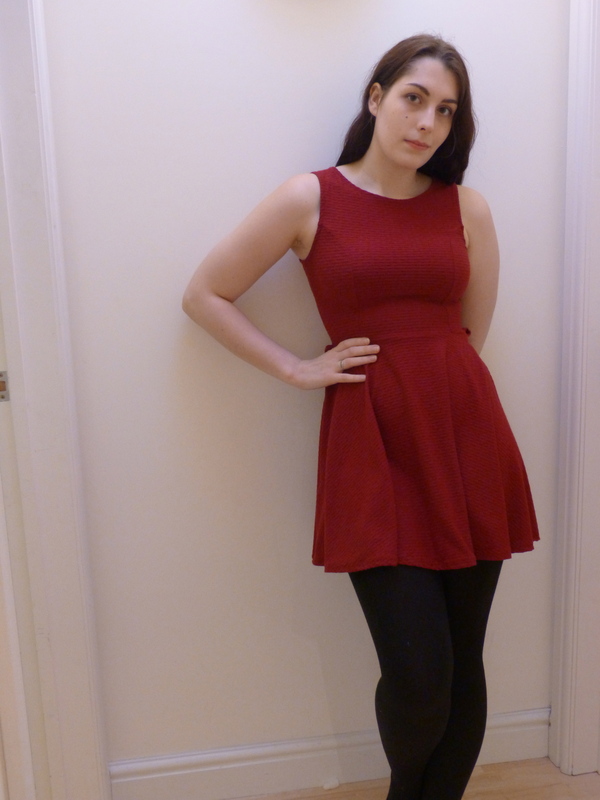 The dress I bought is a dark red skater dress in a heavy, textured sort of material – it’s not on their website anymore, but it’s worth checking out their sale anyway.